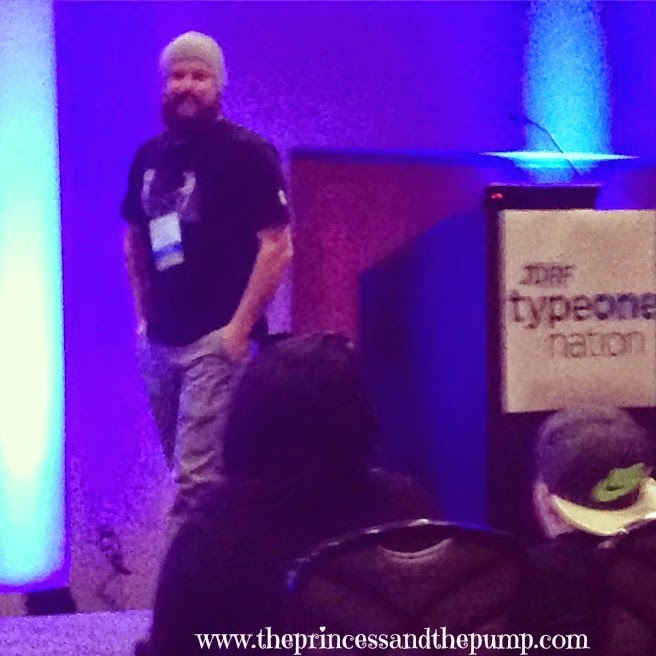 A few weeks ago, we had the privilege of attending a Type One Nation Summit that our local JDRF was hosting. If you have the opportunity to attend a function like this close to home, you should totally do it! It was a great experience! 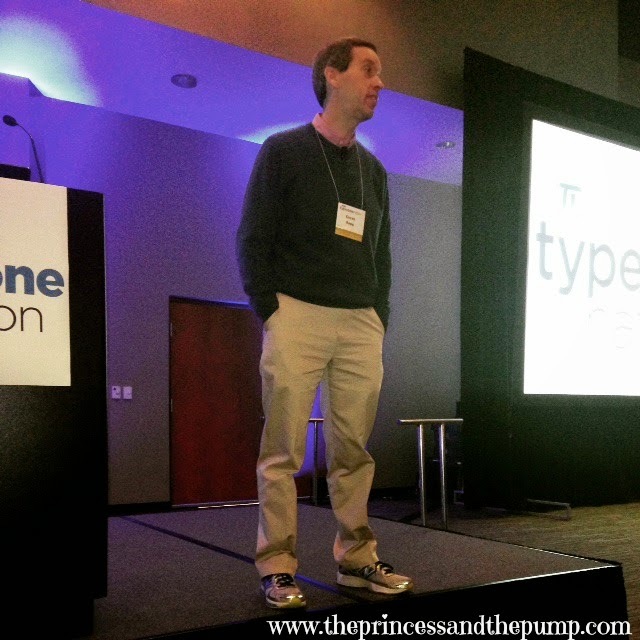 We have had a Type One Expo for years but thanks to a generous grant from Dexcom, this year's event was much larger in scale. I was thrilled to see so many people attend this event! And I was especially thrilled to see just as many adult type ones attending as there were families with kids! We had the honor of listening to some wonderful speakers from all over the country! 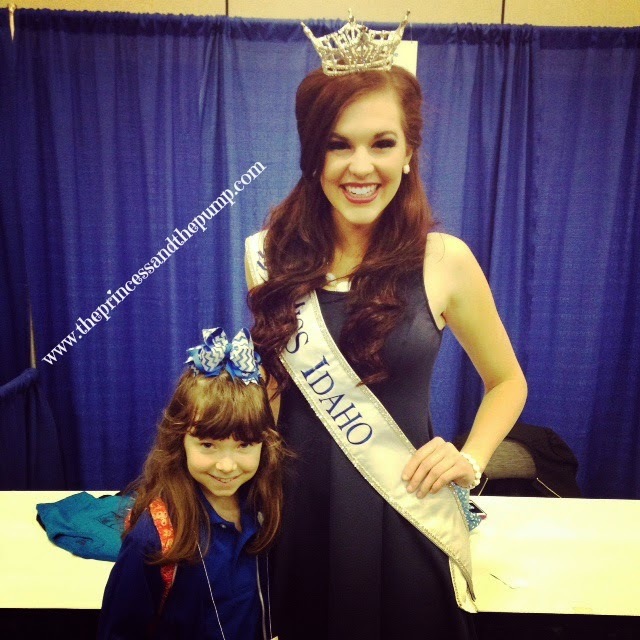 We heard JDRF CEO Derek Rapp, Sean Busby, Miss Idaho - Sierra Sandison, Moria McCarthy Stanford, and some other wonderful folks speak about different areas on interest. Derek Rapp was the keynote speaker. This was the first time I've had the opportunity to listen to him speak in person. I really enjoyed it! He answered questions from the audience and had a lot to say about new technologies and treatments. This always gives me so much hope! We also got to see our friend, Moria again! 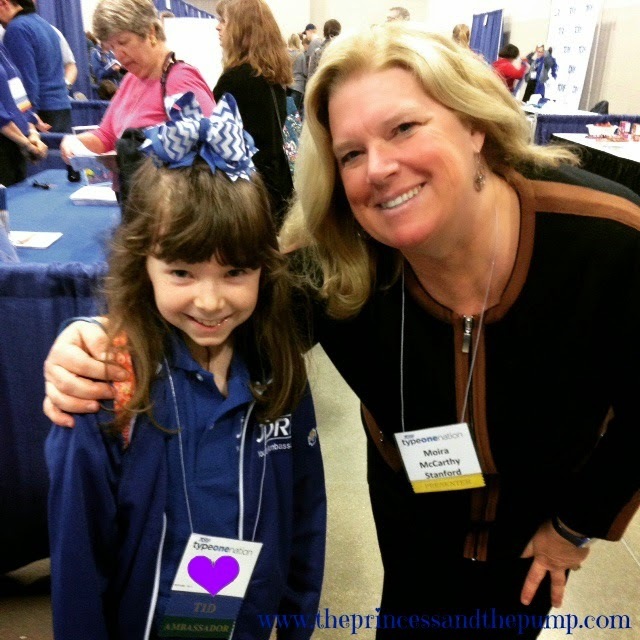 We met Moira (in person) for the first time at JDRF's Children's Congress when Sweets was a delegate. 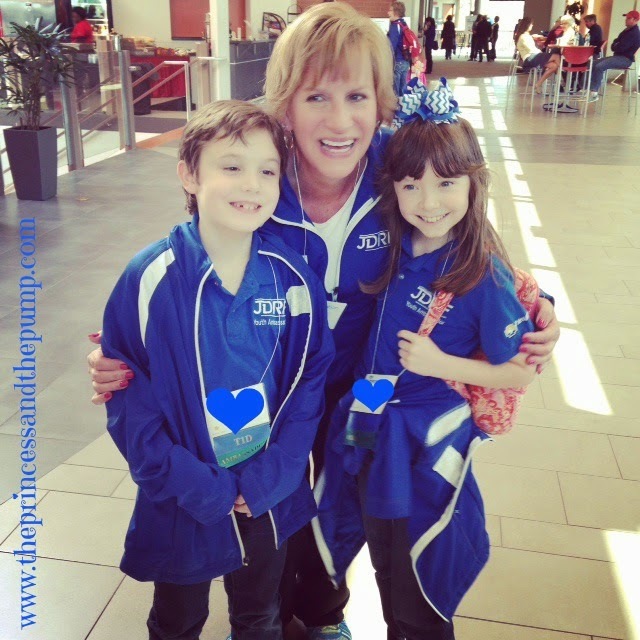 Jason and I both really enjoyed listening to Moira speak about life raising a child with T1D. We can really relate to so much of what she says! And as Sweets is getting older, I find I'm more and more able to embrace her message of hope with open arms and less worries and fears! The summit was the first time we have had the pleasure of hearing Sean Busby talk about his life with T1D. His story fascinated me! From his diagnosis story to his travels around the world, I was captivated! And it really made me want to go see the penguins that he talked about! Sweets would absolutely NOT get her picture taken with him! I think it was the beard! But she said that he came and talked to her class and she thought he was pretty cool, too! I can't imagine doing the things he does without T1... doing it while managing diabetes is quite impressive. Of course, we know this lovely lady! Sweets was so excited to see Sierra again after interviewing her over the summer! As parents, we love the message that she sends to the kids that what makes you unique is what makes you beautiful. I love that Sweets has a lady like this - someone who is smart and athletic and isn't ashamed of her diabetes - to look up to! We also really enjoyed listening to Sierra speak. She said something that really stuck with us... She was talking about being emotional when she's low or high and how her family and friends will sometimes discount those emotions because they think they are just because of her blood sugar. She was saying that doing that can upset her and hurt her feelings because although those emotions might be magnified because of blood sugar, they are still valid and true emotions. I know that we are sometimes guilty of doing this with Sweets. And it was great to hear her perspective because it will help understand and empathize more when Sweets has a similar experience. There was a great vendor fair where we got to visit with some of our favorite companies and organizations! We enjoyed chatting with our friends from Dexcom - including the awesome guy who interviewed Sweets and I last summer! Sweets loves the Lilly Diabetes booth and all the awesome books they have for kids! She loves Coco the Monkey and the Disney Cookbook! I also loved seeing all the opportunities to get involved - be it in local support groups or JDRF Advocacy (which is near and dear to our hearts!). Sweets loves this - all the free stuff is right up her alley! She came home with a bag full of goodies! We were also really excited about the Kids Camp that Sweets was able to be a part of! She was really looking forward to this and it did not disappoint! She did things like yoga, arts and crafts, and some one on one time with some of celebrities! Her favorite thing was the magician! We have been treated to many a show since then! She loved the independence of the camp and getting to hang out with other kids with T1. She got to spend time with some of her good buddies and also made some new friends! We were really reminded of our FFL experience at this event! Except this event was FREE! How awesome is that?!? Although on a smaller scale, the summit was very much like FFL with great programming for both the kids and adults. There were really options for everyone depending on your T1 connection and experiences! It was hard to choose what we wanted to attend! As a local JDRF SWO board member, I was so proud of the awesome event that our chapter presented! Our chapter staff is incredible and we are so lucky to have them working so hard for us! This is Sweets with one of her T1 besties (These two are double trouble - don't let those cute smiles fool you! One of the last times these two were together they ended up belly dancing on TV...) and one of our amazing JDRF staff members! I highly encourage you to attend an event like this if you can! We are already looking forward to next year! Wow -- that's a pretty impressive lineup for that local chapter that's not DC or NY or a big city location. Loved that you saw all of these wonderful people at this event! The TypeOneNation summits have all been fantastic this year.